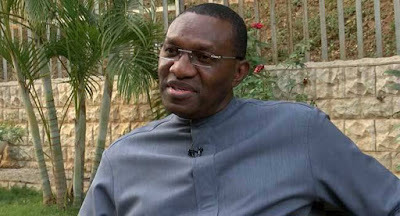 The President of the Senate, Bukola Saraki, on Tuesday changed the heads of Senate committees, with Andy Uba losing chairmanship of the influential public accounts committee. Traditionally, the public accounts committee of both the Senate and the House of Representatives are headed by opposition lawmakers and Mr. Uba was named chairman of the committee in 2015 while still a member of the opposition Peoples Democratic Party. But since Mr. Uba, Anambra-South, decamped to the All Progressives Congress in February, Mr. Saraki, Premium Times learnt, had been under pressure from the PDP caucus to return the chairmanship of the committee to the opposition party. Mr. Uba will now head the committee on interior, the Senate President announced moments before the end of plenary on Tuesday. Matthew Urhoghide, PDP-Edo, was then named new chairman of the public accounts committee. Mr. Urhoghide previously headed committee on culture and tourism. The committee on public accounts oversees the country’s ministries, departments and agencies in respect of utilisation of public funds. It has oversight responsibility over the Office of Accountant-General of the Federation and the Office of the Auditor-General of the Federation. In other appointments, Sabo Mohammed, APC-Jigawa, was named chairman, Senate committee on trade and investments, taking over from Fatima Raji-Rasaki, PDP-Ekiti. Mrs. Raji-Rasaki is now the chairperson of the committee on culture and tourism. Olamilekan Adeola, APC-Lagos, is now the chairman of the committee on local content, while Stella Oduah, PDP-Anambra, now heads committee on cooperation and integration. Mr. Adeola, before now, was the vice-chairman of the committee on communications. Mustapha Bukar, APC-Katsina, was appointed chairman of committee on capital market, which late Isiaka Adeleke, APC-Osun, chaired before his death this year. Similarly, the review also affected some vice-chairmen of committees. The committees on communications and trade and investments now have recently elected Ademola Adeleke, PDP-Osun, and Sani Mustapha, APC-Niger as vice-chairmen respectively. Mr. Adeleke replaced Mr. Adeola, APC-Lagos. The Minority Leader, Godswill Akpabio, was named vice-chairman of the committee on local content, with the committee on human rights, legal matters and judiciary now having Babajide Omoworare, APC-Osun, as vice-chairman.